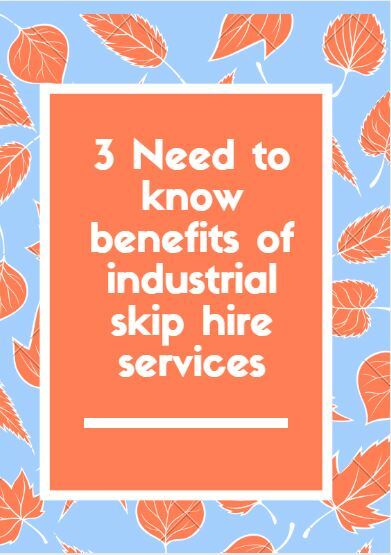 3 Need to know benefits of industrial skip hire services! Are you looking for a skip hire service which is suitable for your business’ requirements? How can industrial skips benefit you? If you work on a construction site, you may have to manually sort through waste material that is located around the site. However, this is potentially dangerous especially if you are unaware of any broken material or leaking substances! 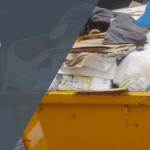 But by hiring a skip you and your team wouldn’t be required to handle the skip or the contents inside the skip – ensuring your safety whilst on the site. Typically, you would gather waste material, pack this up and then load it all into a suitable vehicle – all in order to transport it to your nearest landfill site or recycling facility. However, this is extremely unnecessary, by hiring an industrial skip life is made so much easier. This refers to the fact that most skip hire companies provide you with a free delivery and collection service – they are responsible for dropping your skip off at a time that suits you and then they are responsible for collecting your skip, enabling you to continue with your project, without losing valuable time! After filling your skip, what happens next? The Skip Hire company who delivered your skip, for example Preston Skip Hire, will arrange a collection date to pick up the skip. When they have collected the skip and subsequent waste from your site, they will take your waste to be processed and recycled! However, if you hired an industrial skip, in the form of a roll on/roll off container you ultimately reduce the number of times the skip needs to be collected because there is sufficient space for the waste to be disposed of. This has a positive environmental impact for a number of reasons for ease of waste recycling to the reduced carbon footprint created due to less transit time of the vehicles needed to transport the skip to and from your business premises. What are large, high capacity commercial and industrial skips? Adlington Skip Hire, what can we do for you? 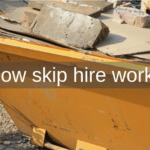 Here at Adlington Skip Hire, we understand your various needs and requirements, hence why we have a comprehensive range of skips available for you to hire. Industrial skips are available to suit your budget and to store excess material before it is disposed of. 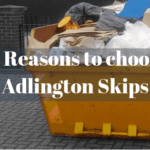 Adlington Skip Hire encourages you to choose our skip hire because we offer you with quick and simple booking, delivery and collection services, with an experienced team who are always happy to advise and discuss your waste disposal needs.  There are many local Skip Hire Companies within the Lancashire and Greater Manchester area. Other Skip companies such as Lostock Skip Hire are available, however Adlington Skip Hire is one of the best. So, if you’re in need of a skip then get a free quote today!